Chokers have made a huge comeback and because of this, they can be a little expensive, especially the eclectic- looking fabric and lace ones. This is probably the easiest and cheapest DIY I have ever done and I can’t believe I did not think of this sooner! It only takes one simple step to create your very own fabric chokers. I had a bunch of these circular elastic headbands that I just never wore and the idea popped into my head! If you do not already own headbands like these, you can get them really cheap at Forever 21, which is where I got all of these from (and it is still cheaper to buy a headband than an actual choker). The best part about this DIY is that you do not need to worry about going out and buying anything else because the only thing you will need is a headband and a pair of scissors! All you do is cut the band that goes under your hairline in half- that’s it! When you go to wear it around your neck, just tie the lose ends in a double knot (it is still easy to untie). You could take this to the next step and actually purchase jewelry- making supplies to make your DIY choker look more professional, but it was good enough for me just to cut and tie it. Hopefully this was helpful and gave y’all some ideas! I LOVE the empty MAC Pro palettes! For the empty palette alone (inserts not included), they are only $8 and FREE SHIPPING on the MAC website! I love these palettes because they are sturdy and great for traveling. I definitely recommend using a little extra magnetic tape on the bottom of the pans (for non- MAC shadows) for a better and more secure hold. I have a double sided pro palette which holds my ABH contour kit shades and some Wet N Wild blushes that I depotted, but I am just going to show my single one today because I personally think the colors are more exciting. Also, both the double and single sided palettes are $8. Purchasing these empty palettes will save you a ton of money because on the MAC website, the eyeshadow pans are only $6 rather than purchasing the pan in the compact. The individual pans from MAC come with a magnet already on the bottom so you can just pop it in the palette! This will also save you space and help declutter your makeup stash. I like how the cover is clear so I can see my shadows. The plastic cover is very thick and not as flimsy as the Z-Palette covers. The two rectangular pans are “Blackout” from the UD Naked 2 palette and “Blackheart” from the UD Naked 3 palette (I also depotted all the shadows from my Naked 2 and 3 palettes and put them in another pro palette, that way I could toss the bulky packaging and have them all in one spot). I hope y’all enjoyed this post and go out and buy your own Pro Palette or saw some shadows that you really liked. It is so satisfying to depot eyeshadows and reduce some of that clutter! I have a bunch of beauty products that I have been loving this month! Some of these I have had for a while that I have re-discovered and have been using the heck out of! This bronzer is GORGEOUS! It is the perfect bronze shade. The texture is very smooth and the pigmentation is great. This is not a matte bronzer, but it is also not glittery at all. 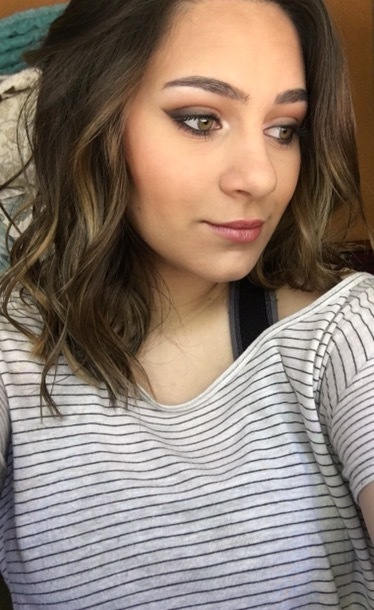 It just gives the perfect bronzed and glowy look, perfect for summer. I would not recommend using this as a contour shade or if you are very fair because it is very warm- toned. This is another drugstore bronzer that I have been obsessed with. This one is more subtle than the Wet N Wild one and is not as warm. This bronzer will work better with a wider variety of skin tones. Again, this is not a matte bronzer, but is not super glittery and gives a gorgeous summer glow. This is a beautiful blush that I have been using almost everyday. It is a peachy toned blush with golden reflects in it, so it gives a natural flushed and highlighted look. This is one of MAC’s most popular eyeshadows and in my opinion, it is the perfect brow bone and inner corner highlight. It is a frosty highlight shade with a slight yellow undertone and it absolutely gorgeous. After using it for the first time, I understood why everyone always talks about this shade! This highlighting palette is so pretty! The colors are gorgeous and can be used individually or you can mix them all together. I love how the strips are big enough to dip your brush into each one if you just want a specific shade. There is a lot of kick off when you go to pick up the product with a brush, but the pigmentation is great and it looks beautiful on the cheekbones. I am not a big fan of putting styling products in my hair, but I love this stuff! It does not leave my hair feeling “crunchy” and gives a beachy wave look. My hair is already naturally wavy/ curly so this just enhances in a way that looks natural and effortless. All I do is I apply 2-3 pumps into the palm of my hands and massage/ squeeze it into my hair from root to tip. It gives great volume and reduces some of the frizz. This product has been a life saver for me all month! You apply it as a moisturizer (I only like to use it on the days I am going to be doing my makeup) and it does a great job of keeping oily skin at bay. I also do not have any issues applying makeup over top of this, but you can still use your everyday makeup primer overtop of this between the Murad and your makeup. It is a pretty thick consistency (feels like my normal facial sunscreen) but it does not feel heavy and sinks into the skin quickly. This might seem like an odd product, but this has been my favorite way to clean my brushes. It leaves them feeling extremely soft, rinses out really easily, and of course gets every bit of makeup out of the brush hairs. This has been my favorite brush to apply bronzer and even blush. The brush hairs are really soft and not too dense so they apply product very softly and evenly. Love it! The small setting brush is the only brush I have been using to set my under eye area and other places I have applied concealer. I have also been using this brush to clean up my contour underneath the cheekbone because it is just the perfect size! The retractible bronzing brush has been my go-to brush not for bronzer, but for foundation. It is a stipple brush, but the brush hairs are more densely packed than the Elf stipple brush, so I find that it applied foundation beautifully without leaving patches and soaking up too much product. I have been using this lip combo basically every time I have done my makeup the past few weeks. Y’all already know how much I love the NYX Butter Glosses, but this shade just looks so good just applied in the center of the lips overtop of the Wet N Wild lipstick. 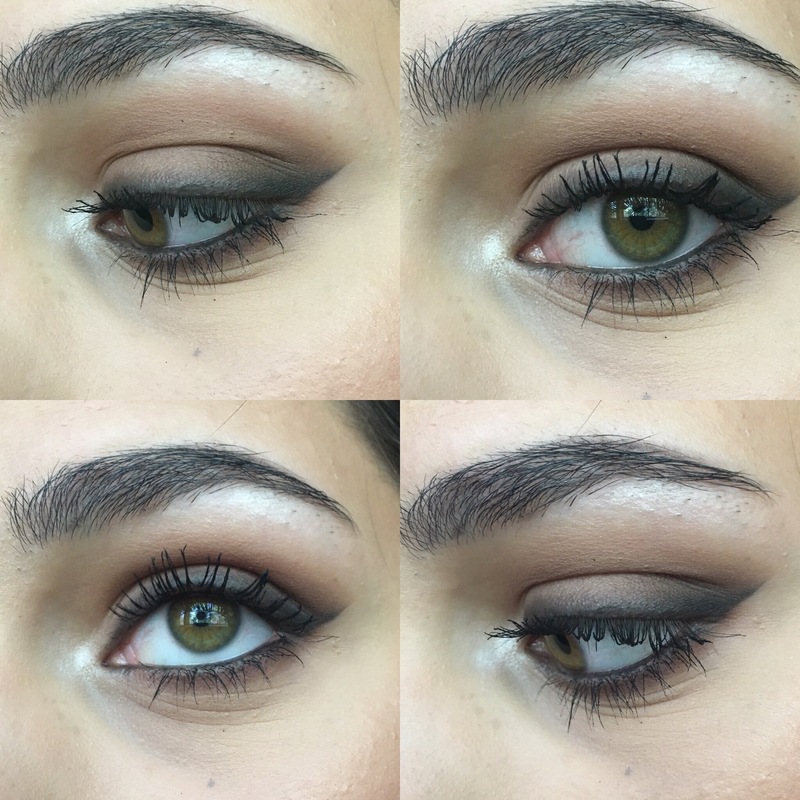 This combo looks so pretty with bronzed makeup! 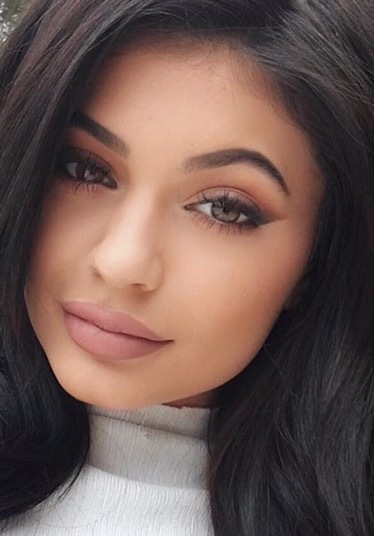 This picture of Kylie inspired me to put my own twist on this smokey winged liner eye look. This is a very easy and inexpensive way that I like to do once every two weeks or so to really shrink my pores and give my skin a little extra TLC. This works extremely well and you will definitely notice a difference in your skin after just one use! Aztec Secret Indian Healing Clay ($6-8, you can find this online or at a health food store). A manual complexion brush/ Clarisonic (or something like this). I use just a typical complexion brush, but anything like this will work just fine. Mix equal parts of the clay and white vinegar in a small bowl (a teaspoon full of each is plenty) until the consistency is a liquidy paste. Immediately apply the mixture to your face and neck evenly (if you let it sit in the bowl for too long, it will dry out). Let this mask sit on your face for about 10 minutes (it will get stiff quickly and if you experience a slight stinging sensation, that is just the vinegar in action!). After letting the mask sit for about 10 minutes, run your complexion brush under warm water and gently massage away the mask. This does get kind of messy, but the clay cleans up easily and is totally worth it! After all the mask residue is gone, pat your face dry with a clean wash cloth or paper towel. This is extremely easy and does not take too long to see great results! You can do this in the morning before you do your makeup and go about your day, or at night before you go to sleep.